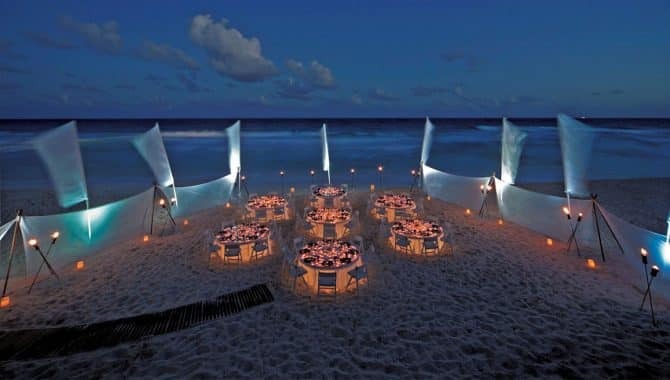 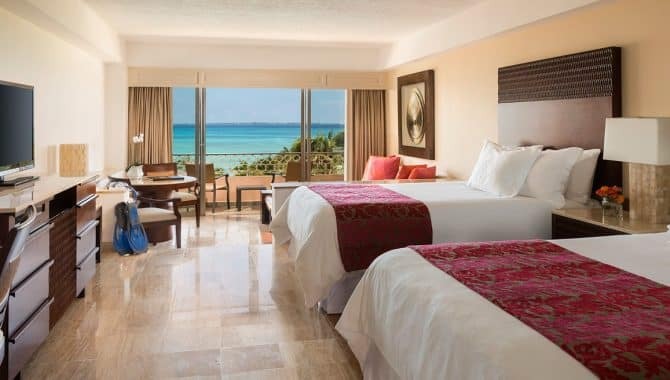 Make the most out of your next business-as-usual conference by planning a group getaway to Cancún. 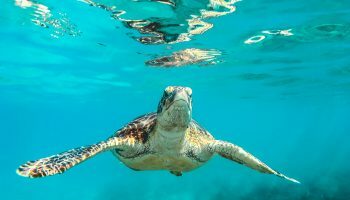 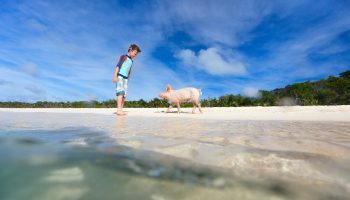 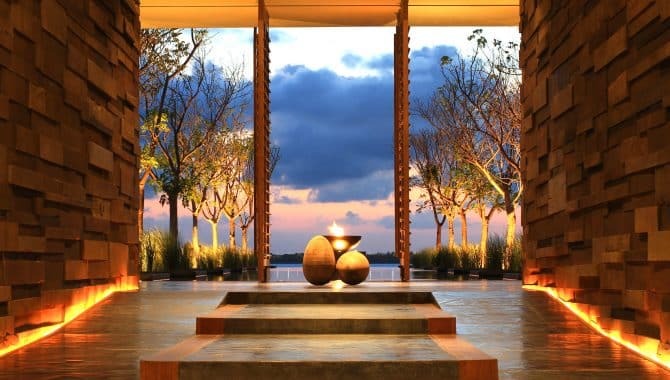 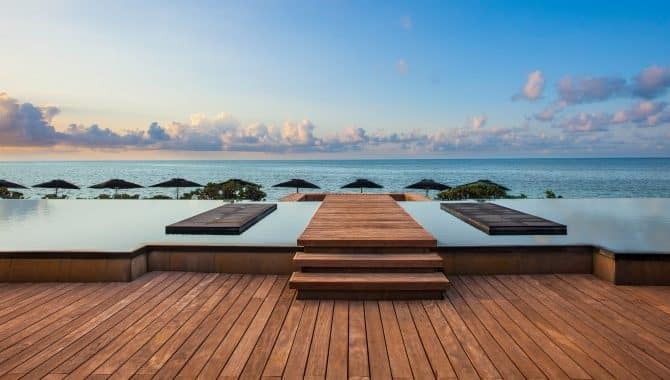 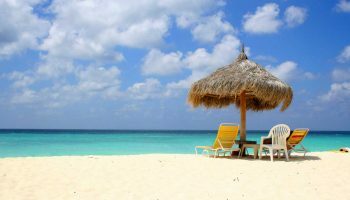 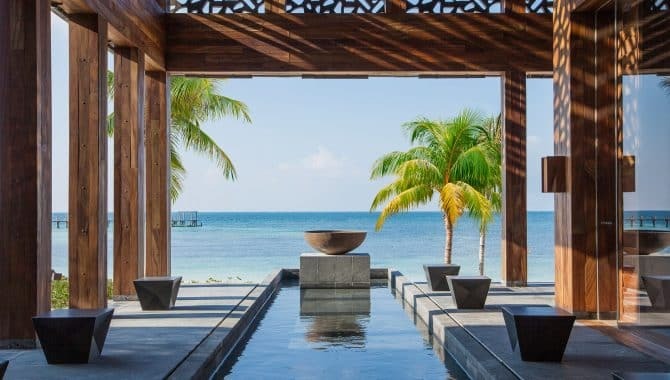 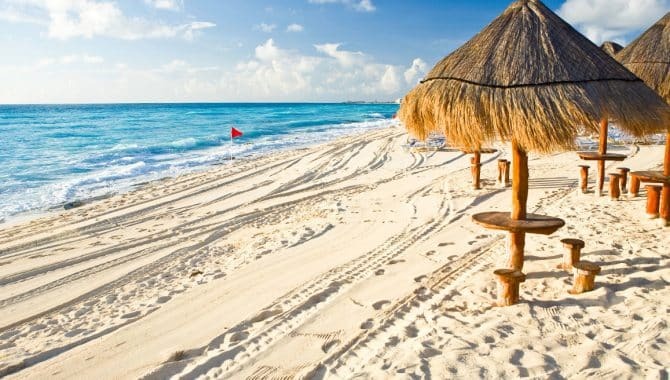 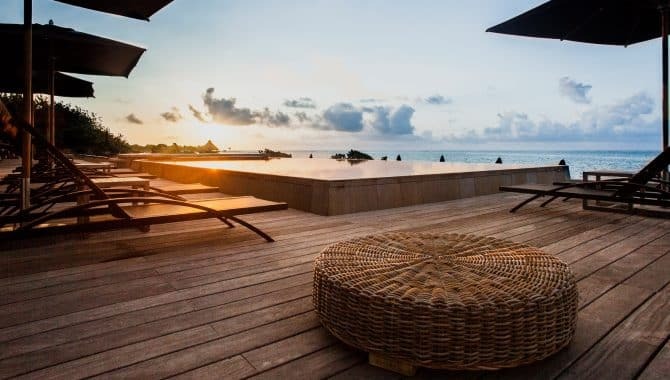 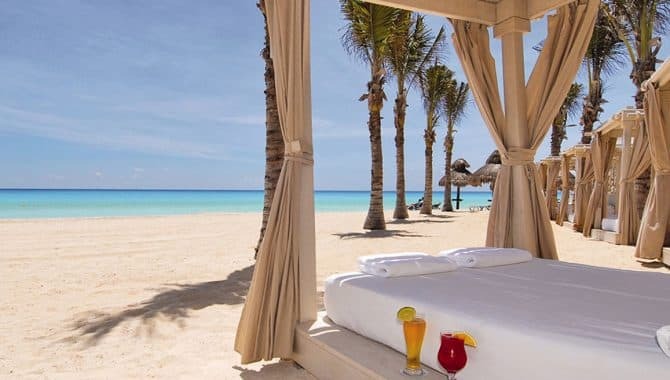 Choosing the right beach resort, however, might require some research. 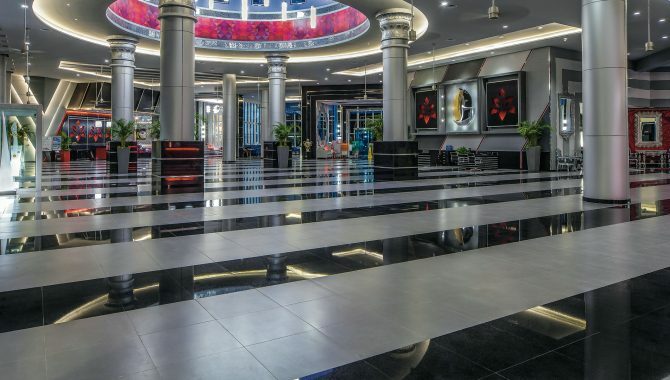 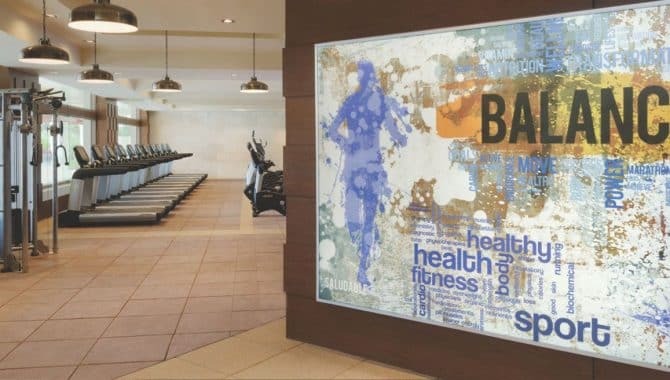 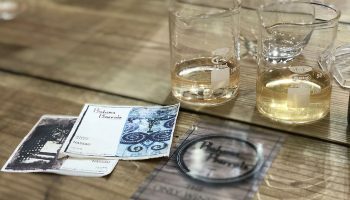 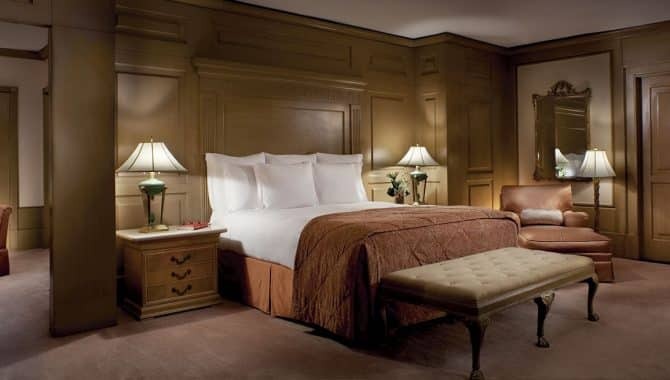 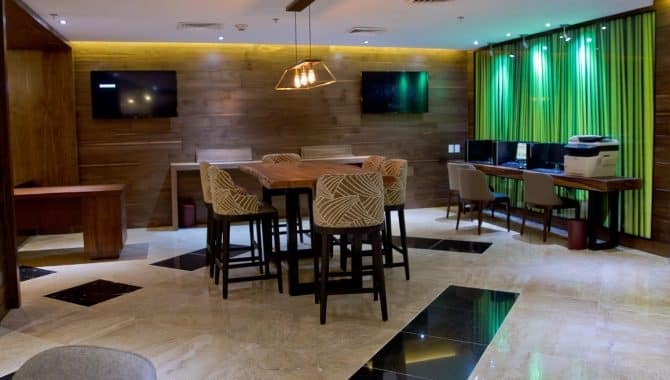 Not every hotel is constructed with business needs in mind and some offer more in the way of conference and group amenities than others. 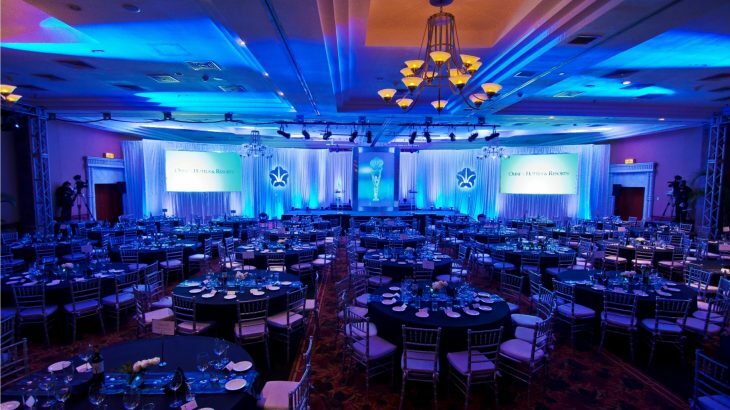 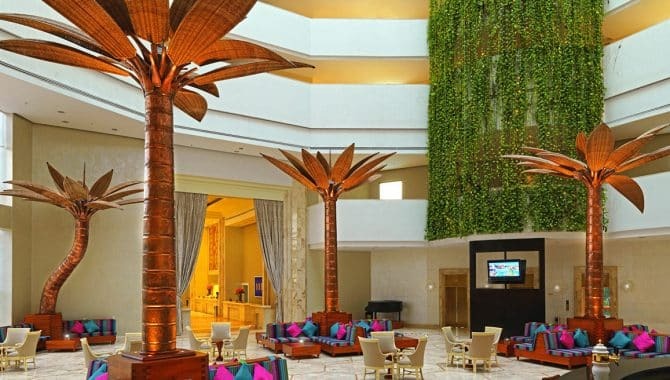 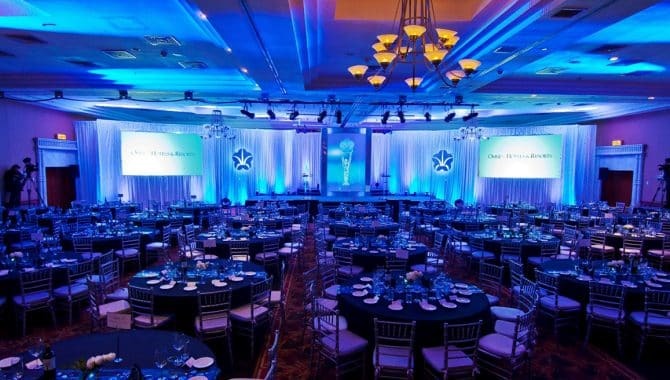 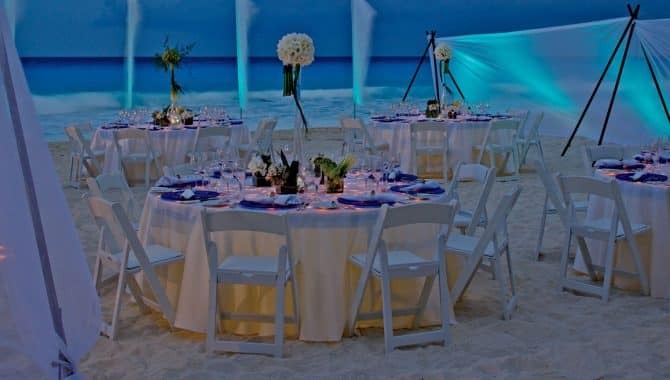 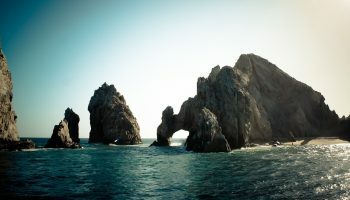 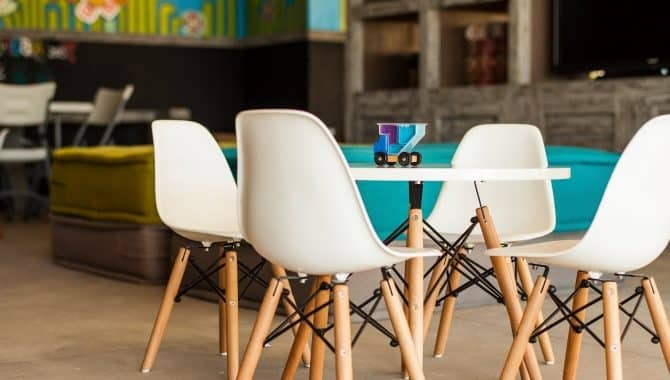 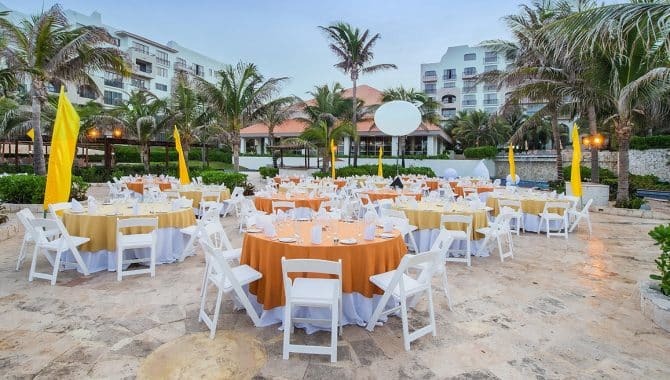 By choosing from the following list of resorts, the best for conferences and groups in all of Cancún, you can expect a relaxed, rewarding and productive experience. 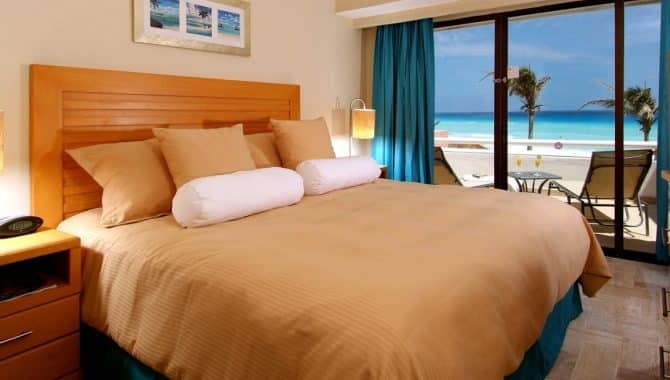 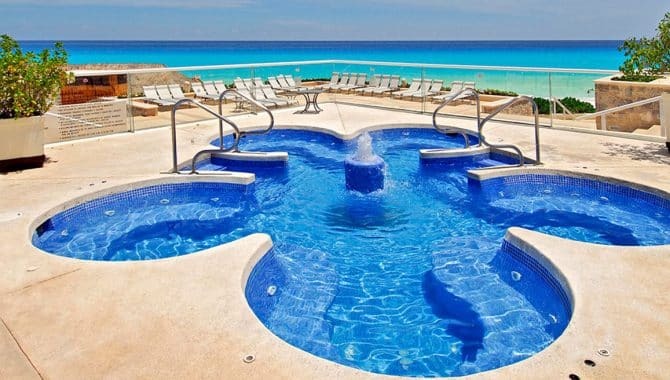 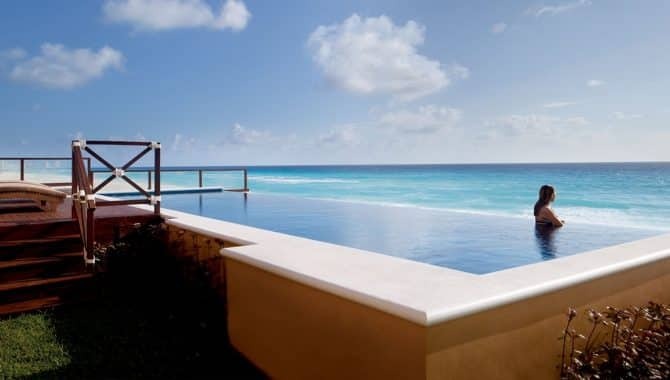 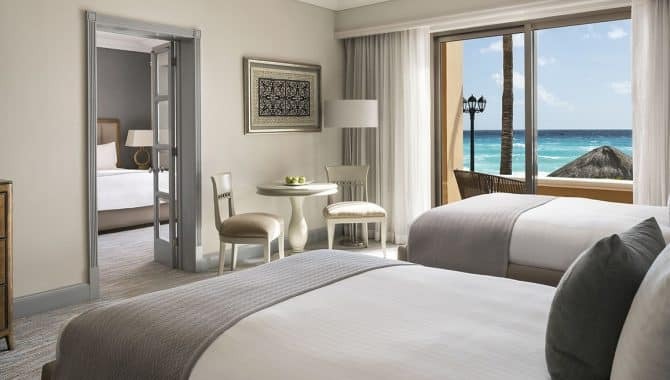 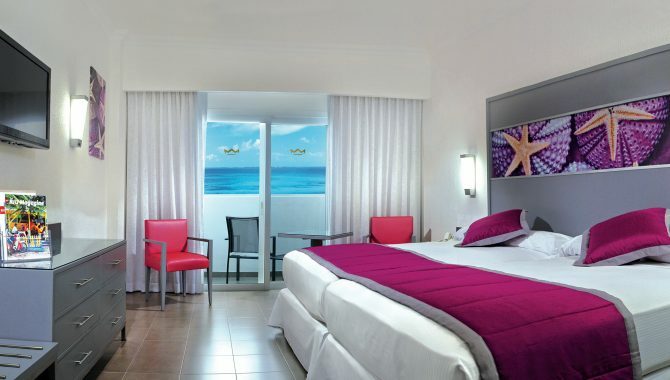 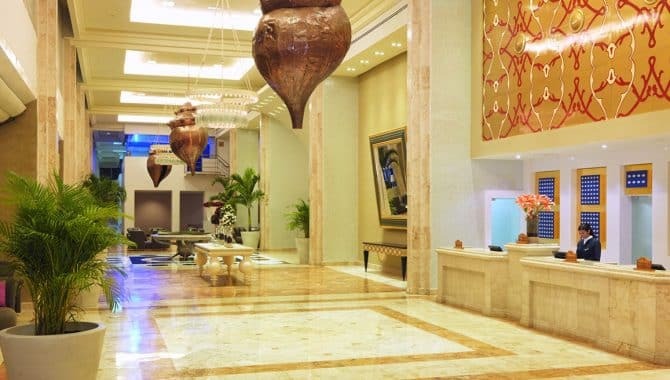 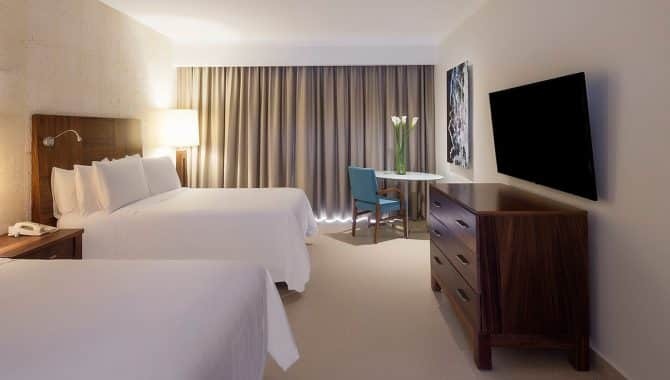 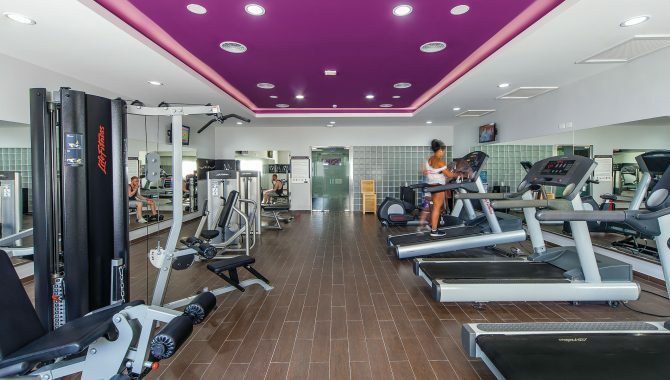 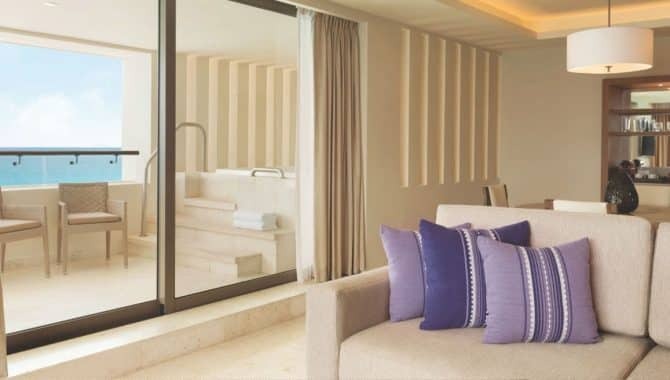 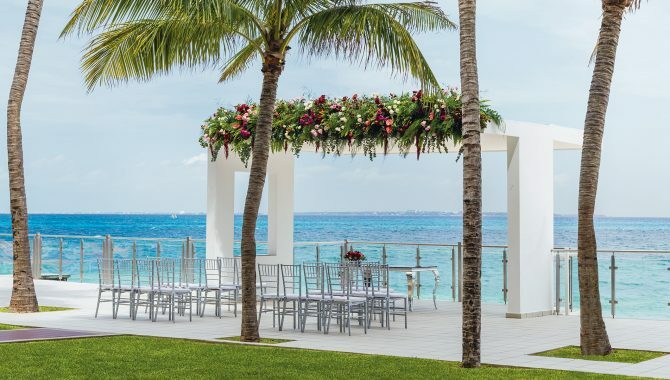 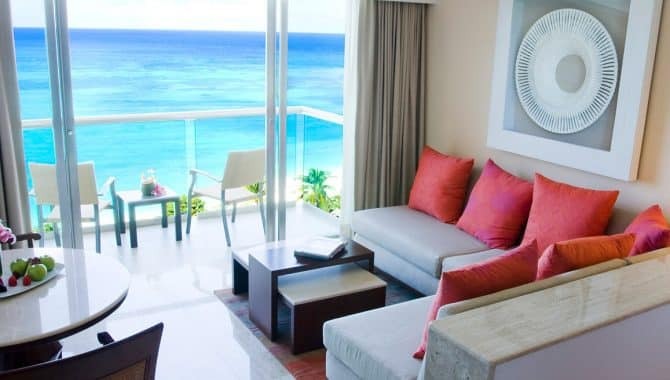 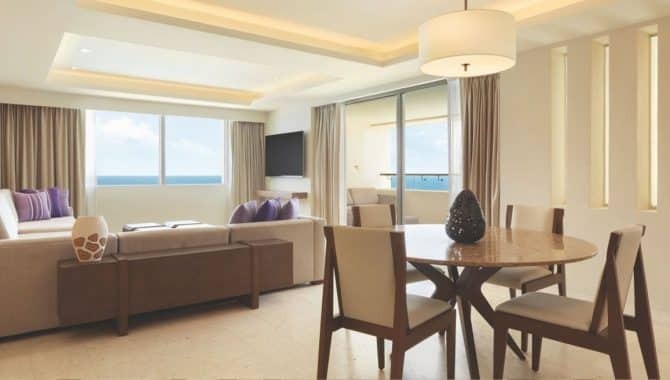 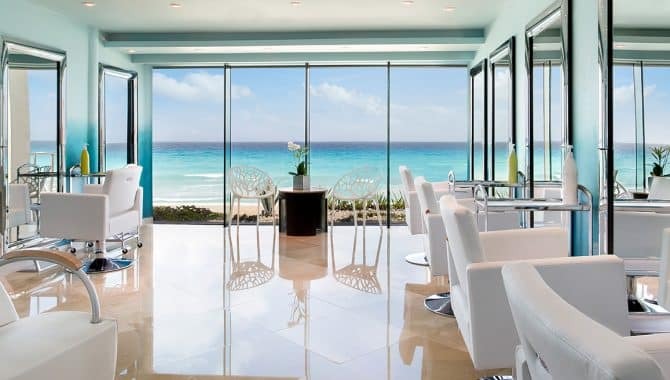 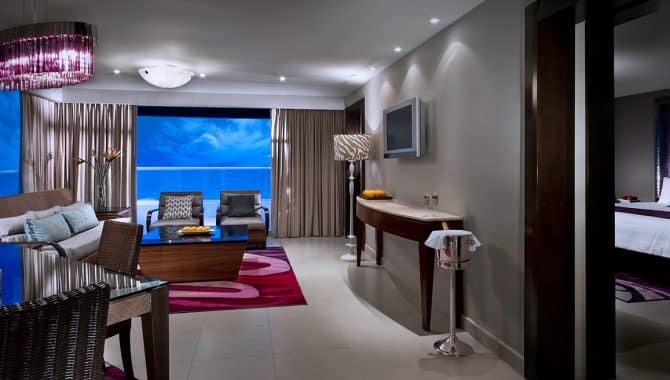 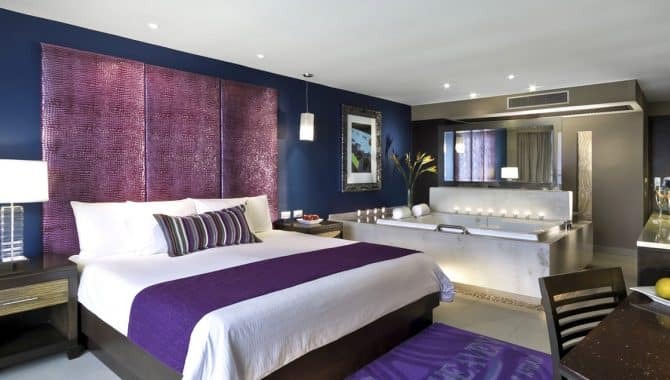 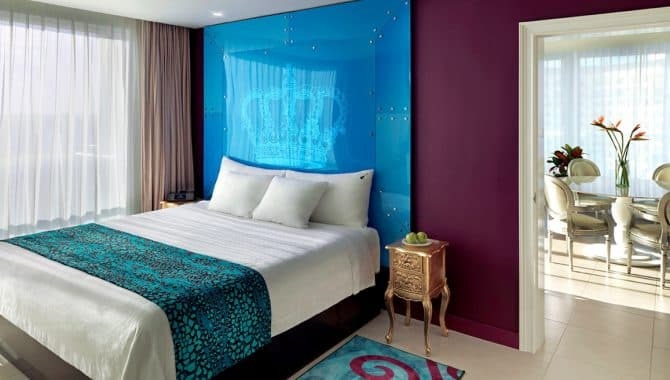 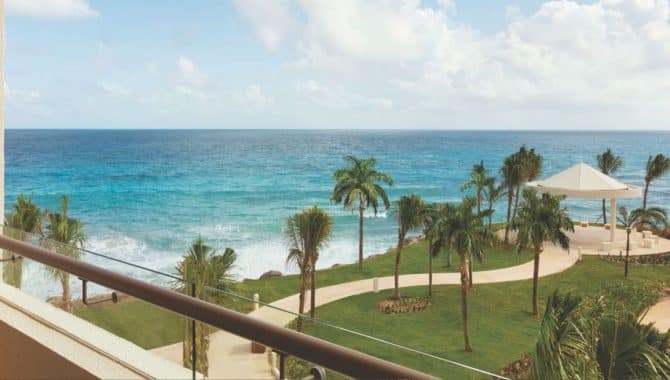 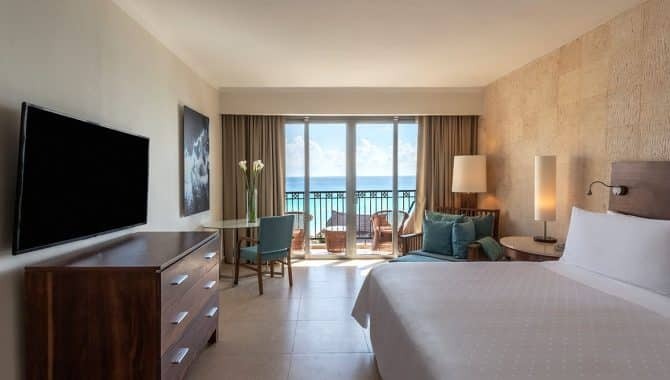 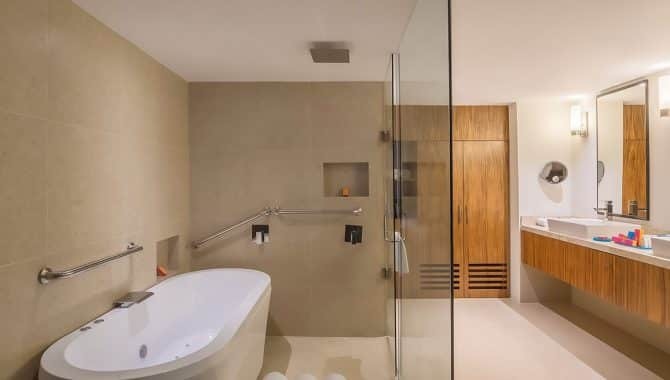 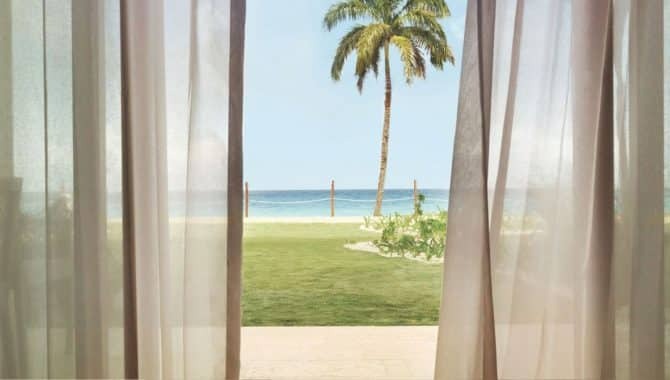 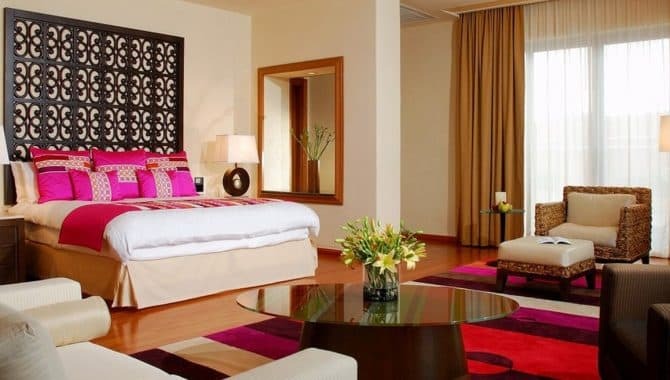 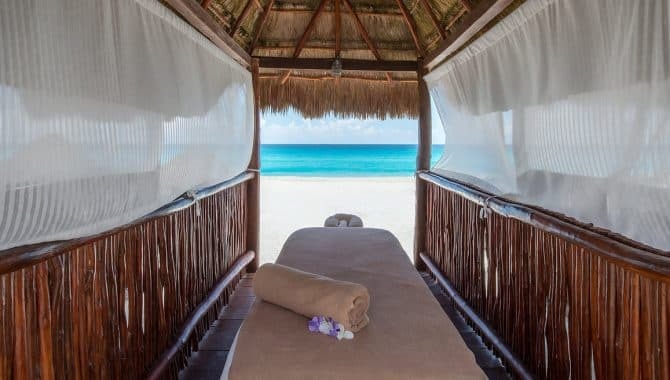 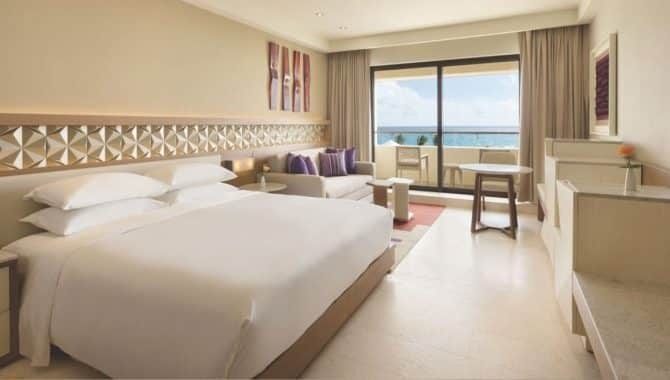 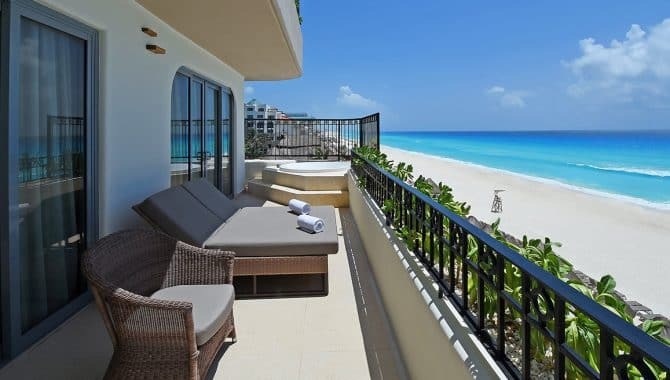 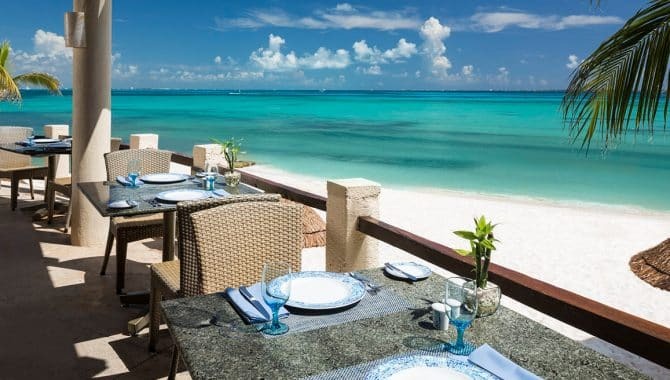 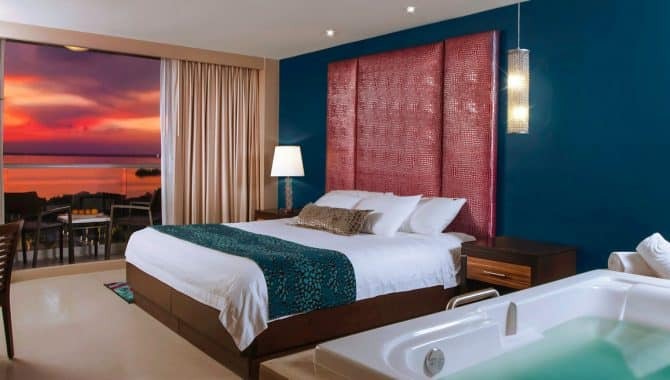 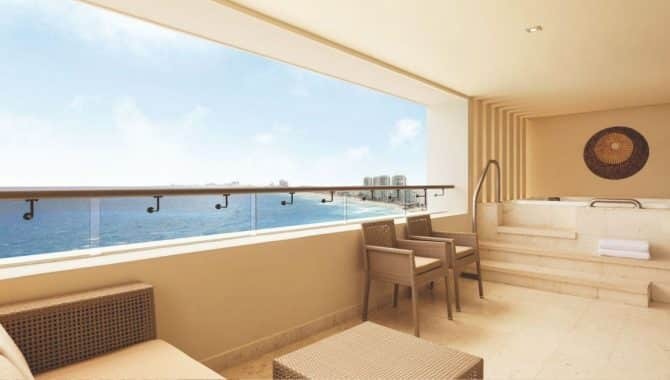 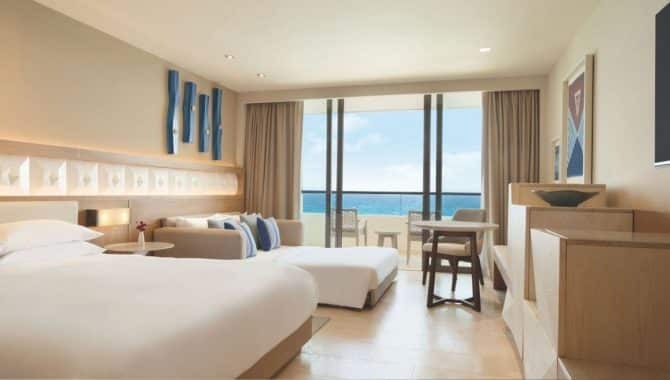 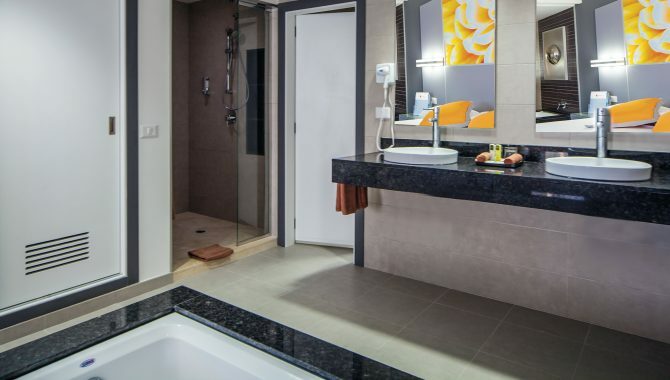 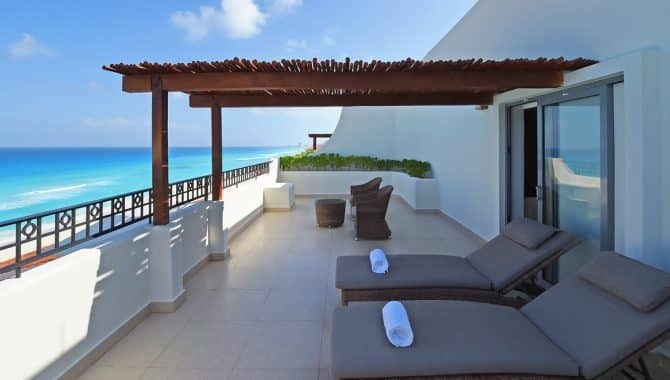 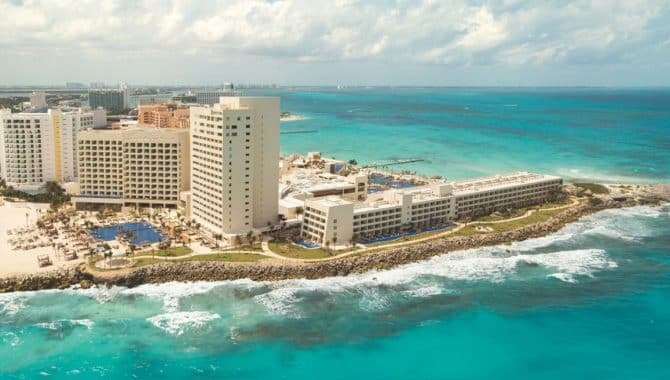 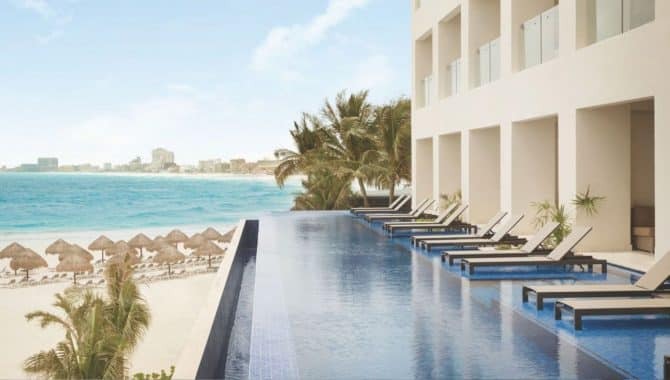 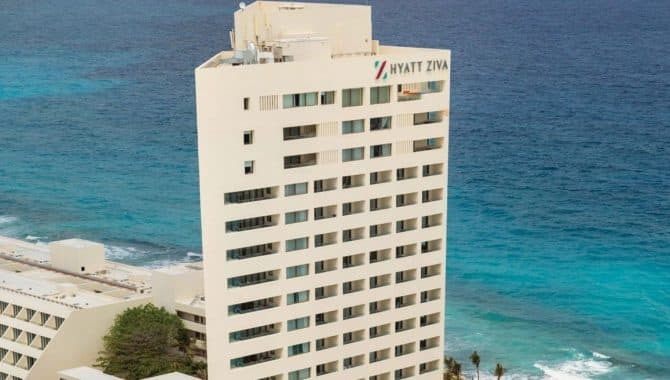 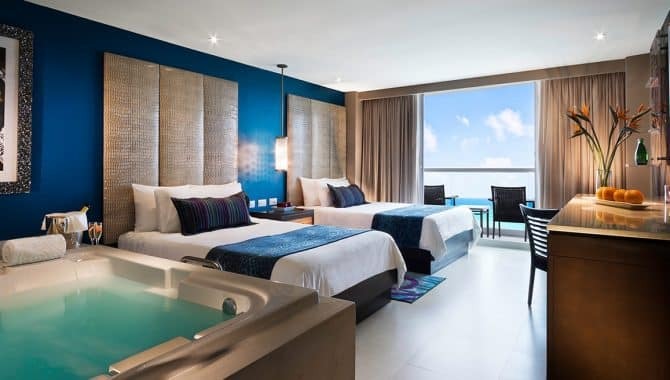 With chic rooms ranging from standard to sea view suites, this modern all-inclusive resort comes equipped with everything you need for a beach vacation from the Renova Spa to a buffet and three internationally themed restaurants, all convenient to the action of Cancún’s popular Hotel Zone. 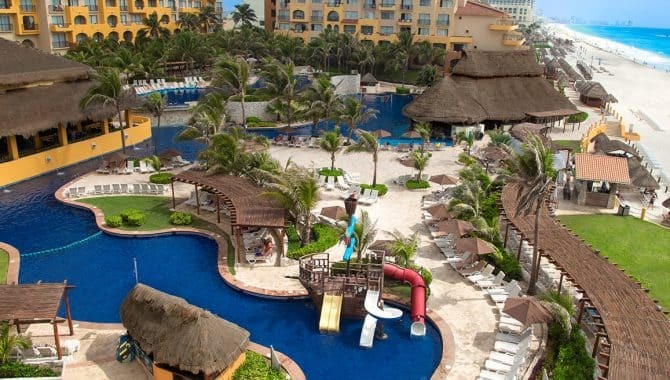 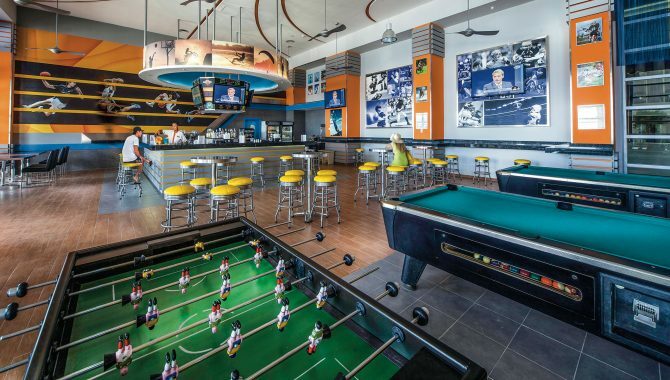 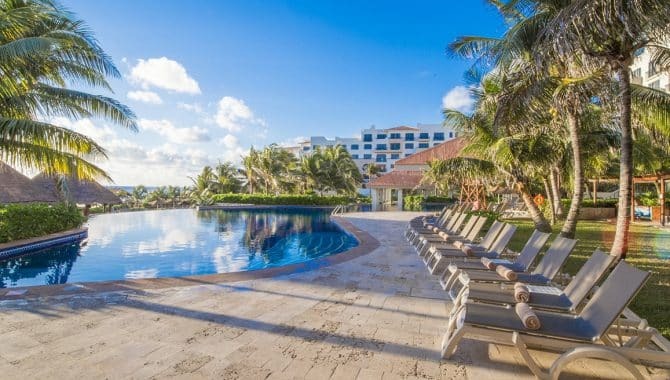 For family travelers, the Riuland kids’ club is a fun option for the young ones while adults enjoy one of three pools, swim-up bars, and nightly entertainment. 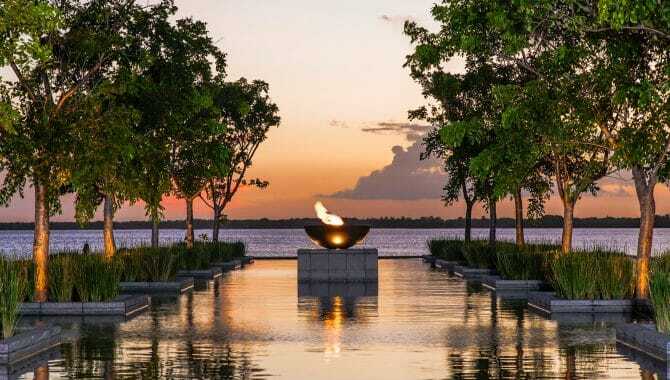 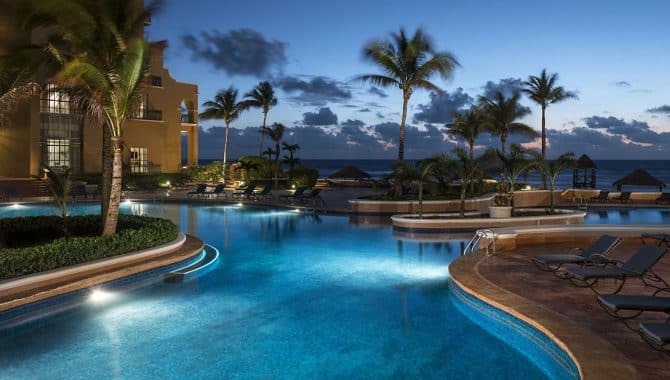 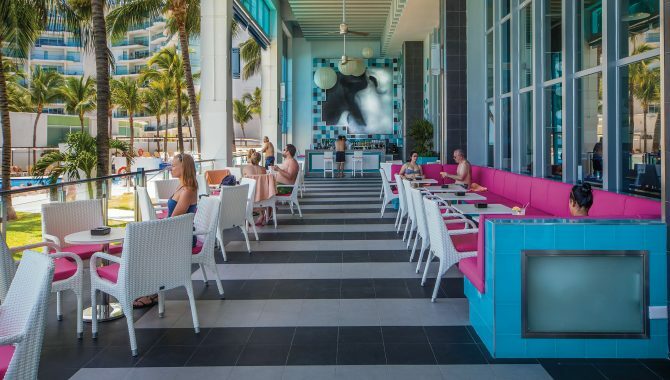 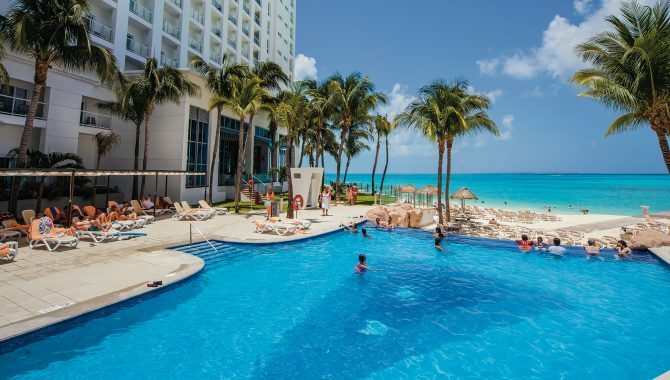 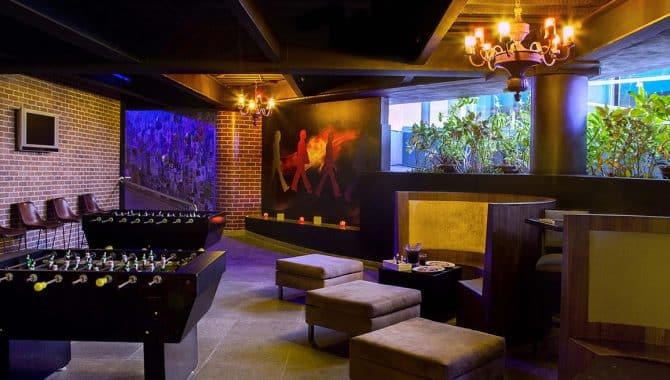 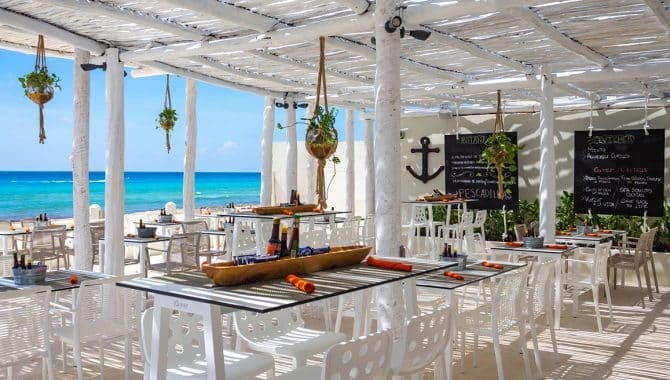 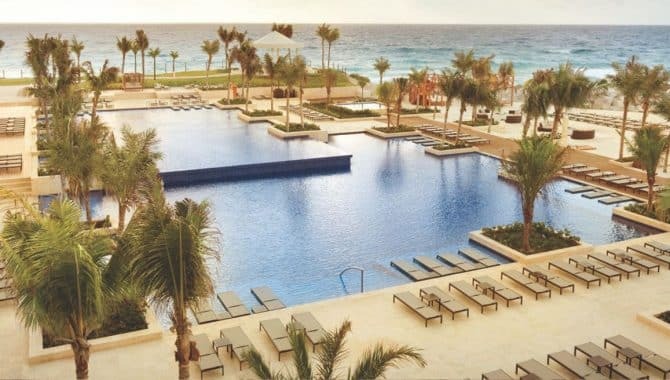 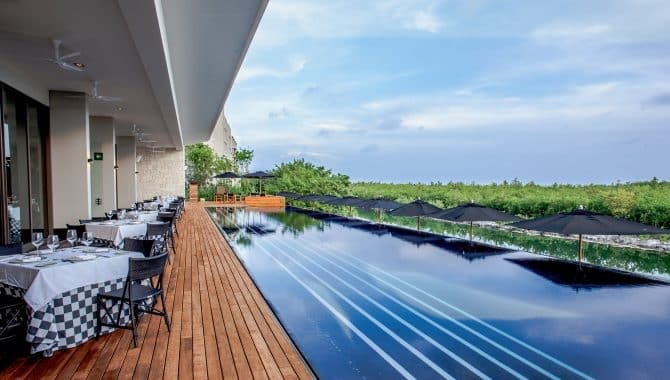 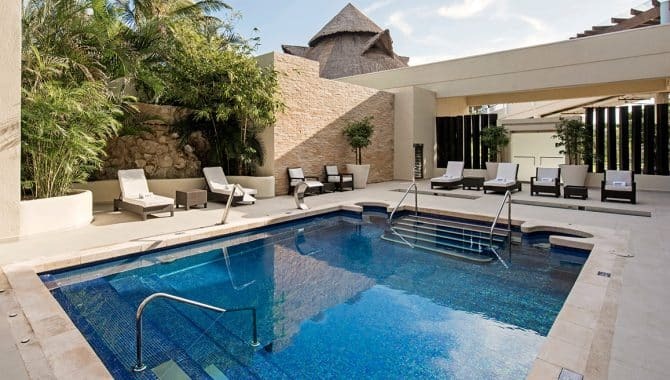 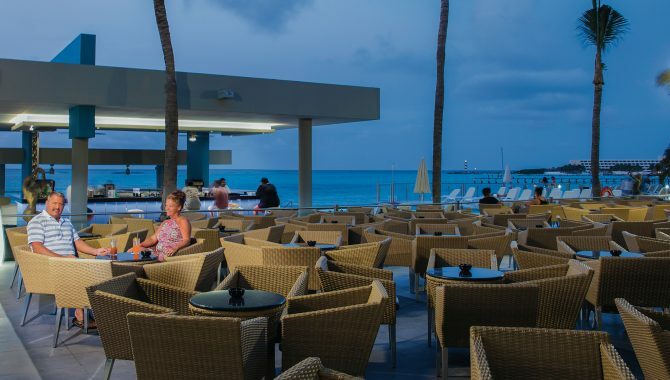 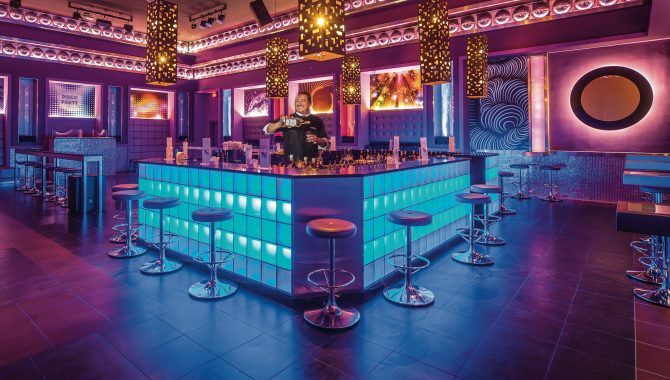 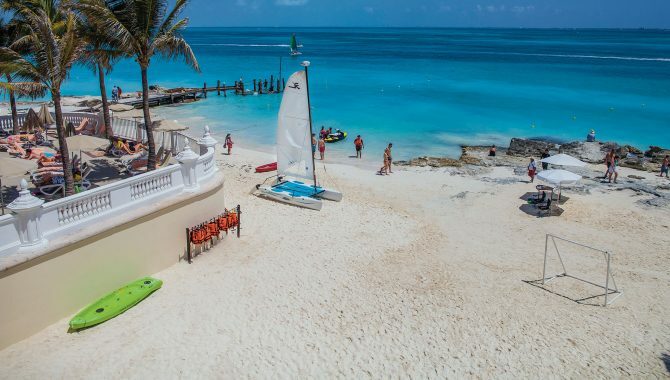 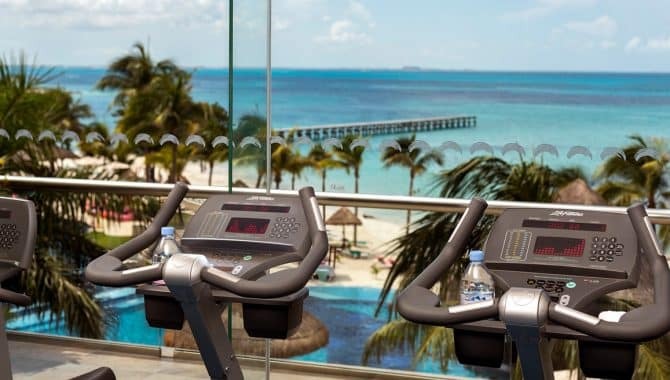 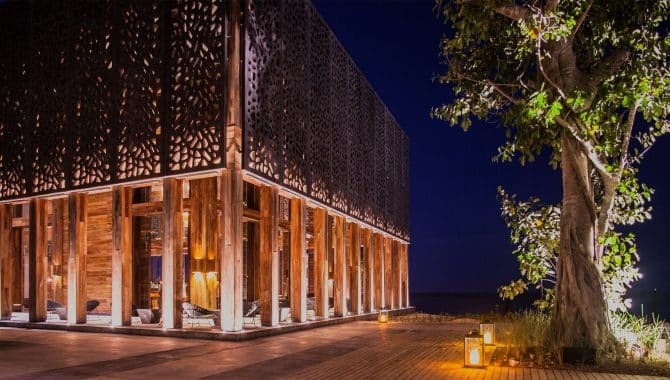 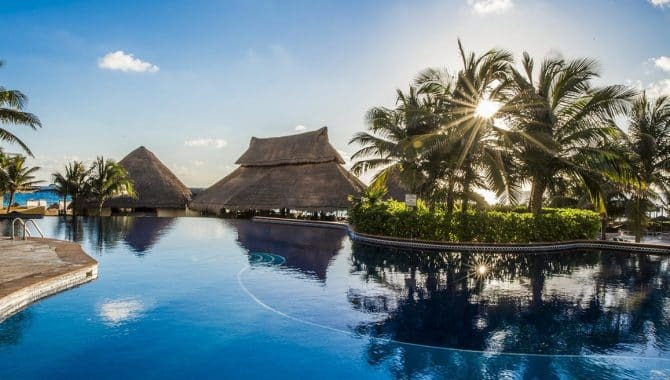 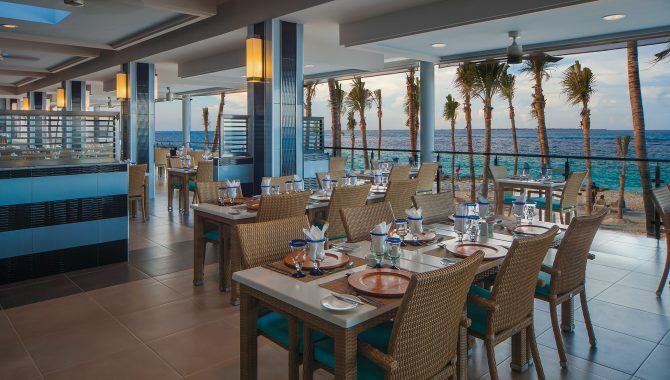 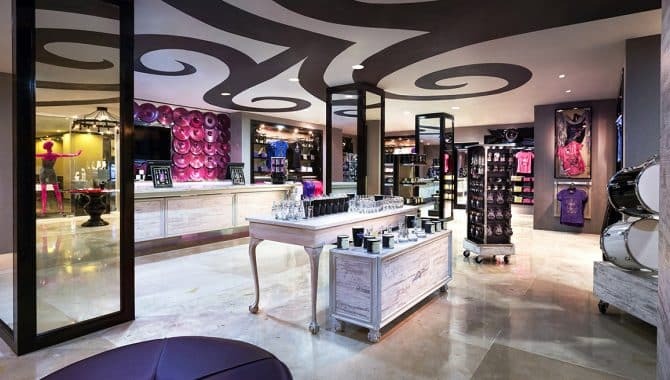 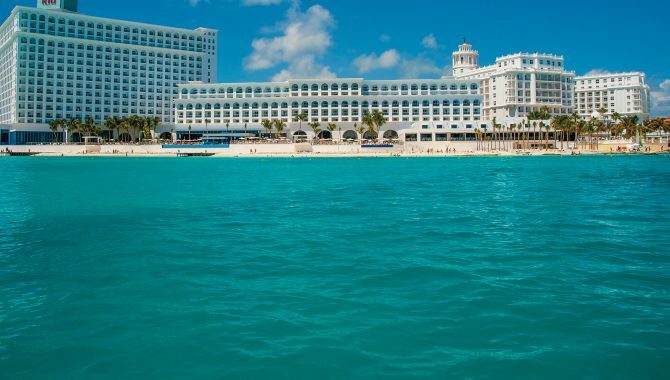 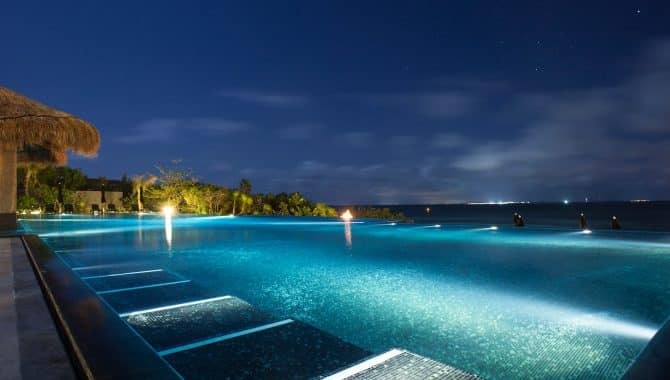 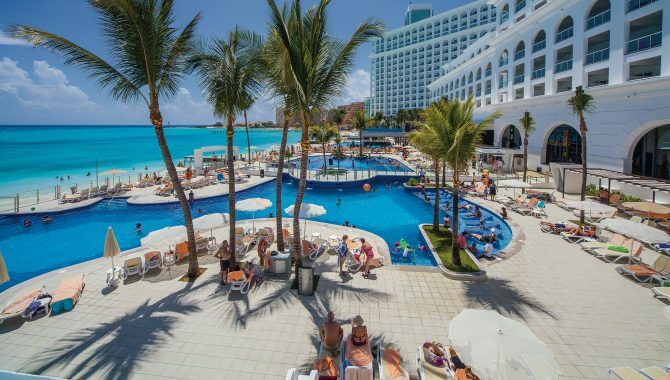 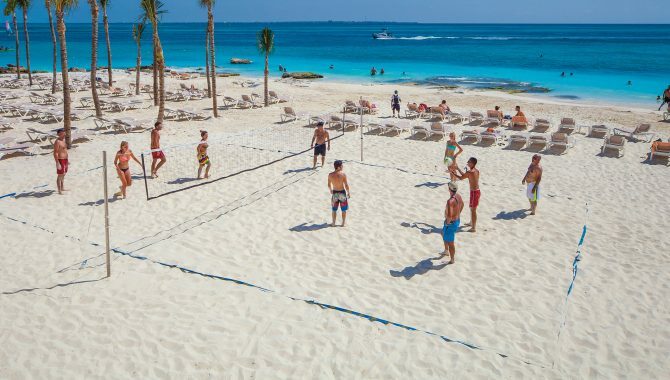 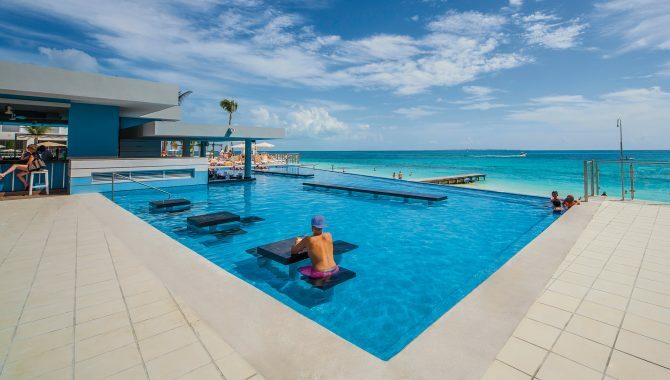 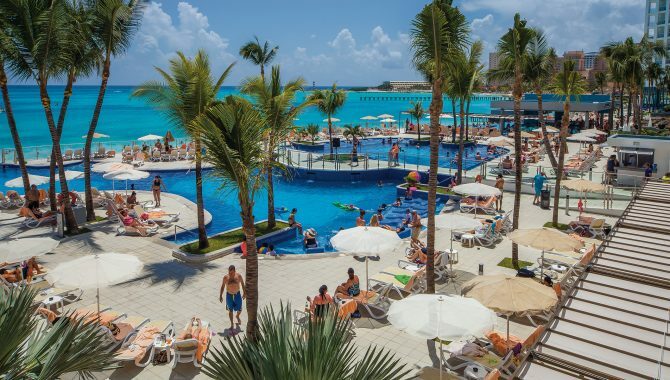 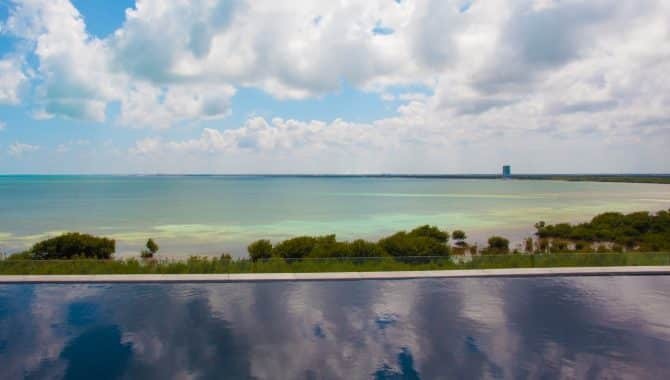 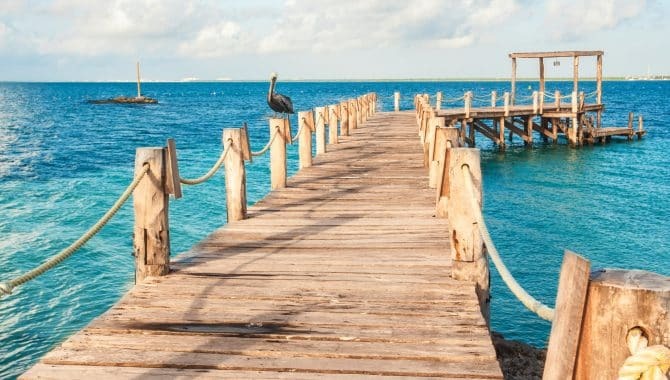 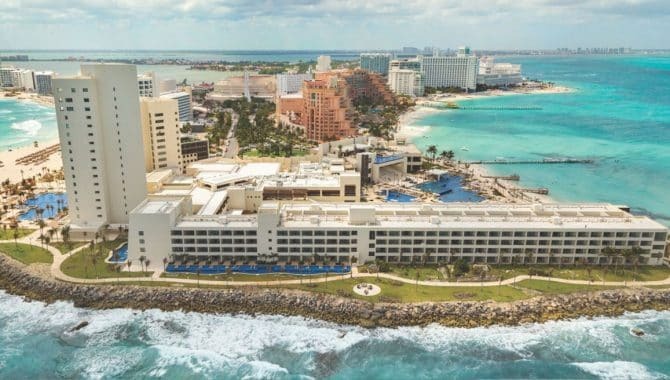 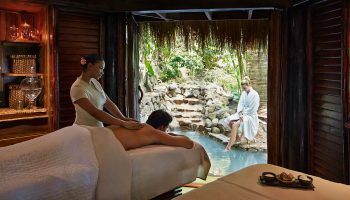 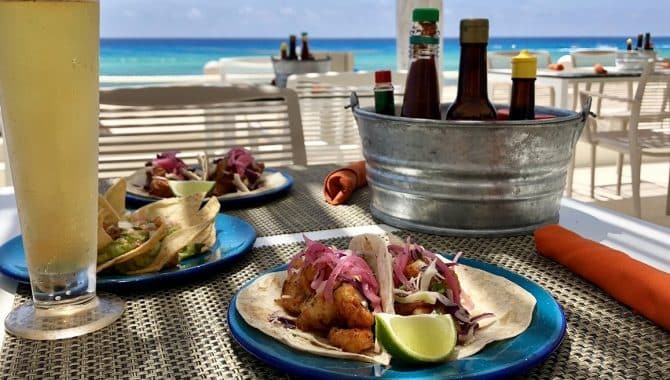 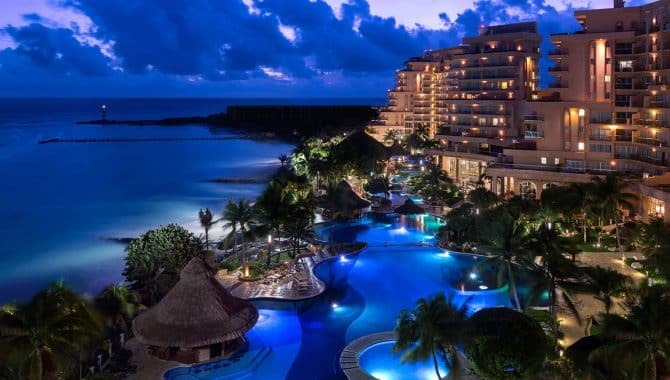 Not catering to the Spring Break crowd, this resort blends Cancún’s best features with tons of outdoor amenities and places to relax, with convenient access to the surrounding nightlife and cultural experiences. 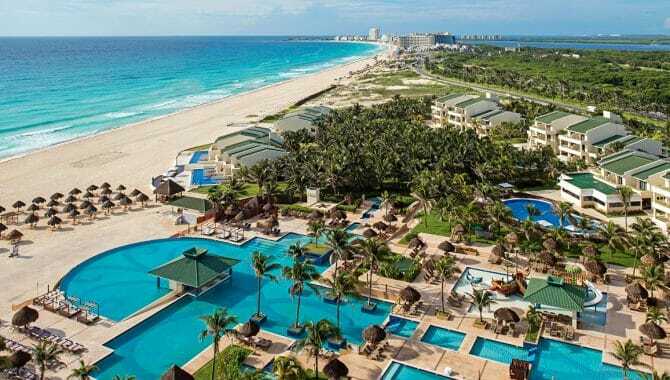 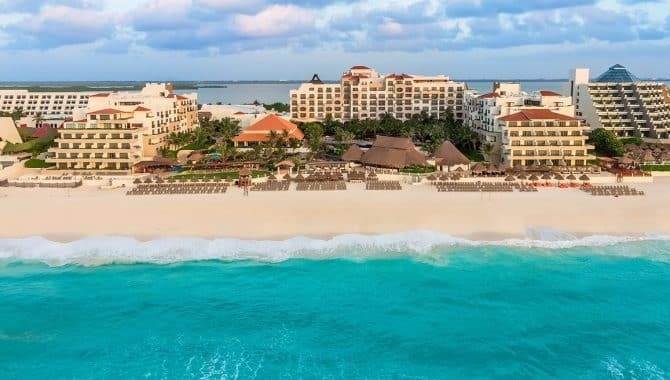 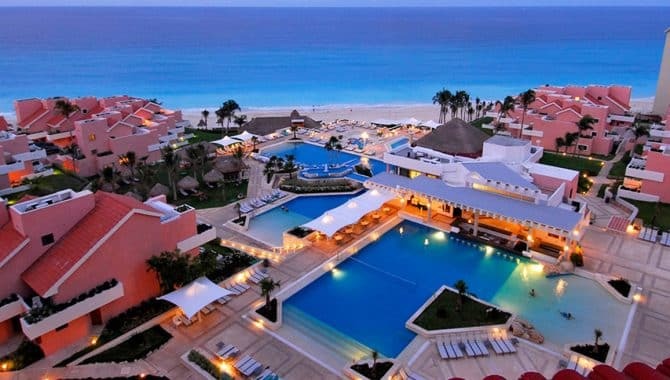 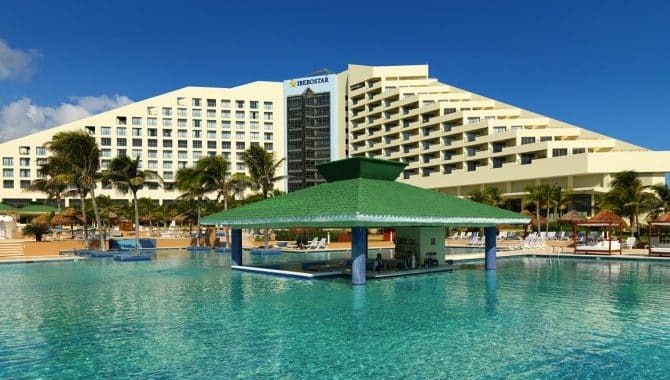 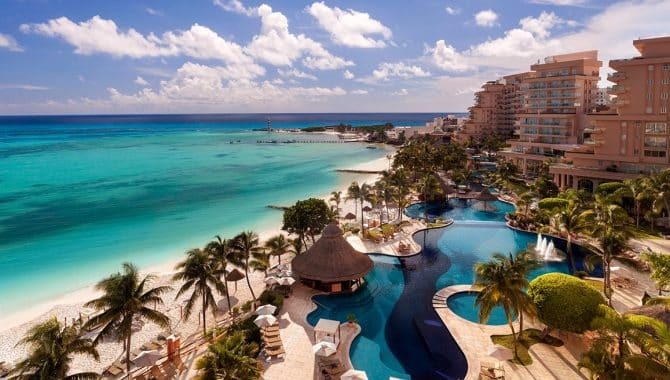 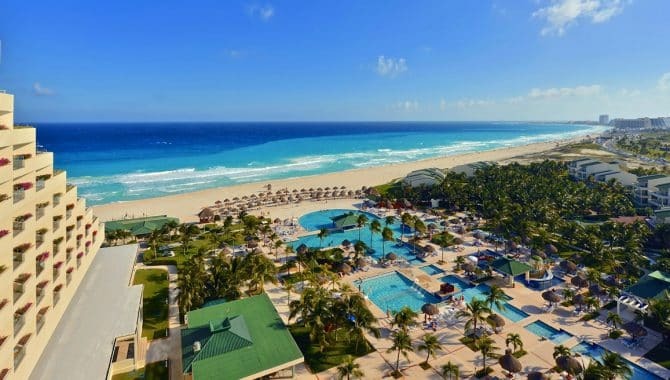 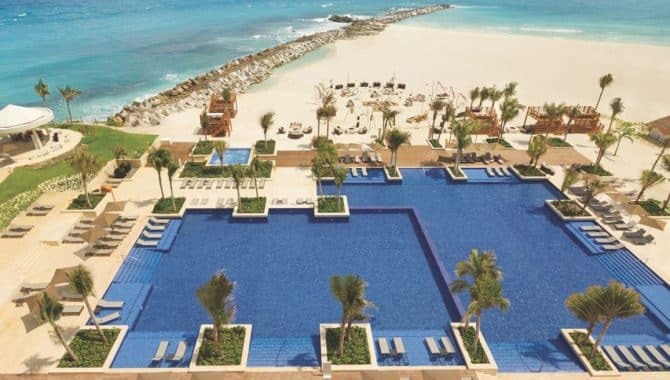 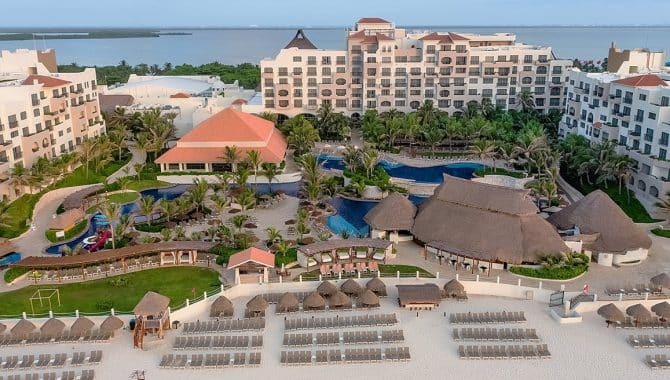 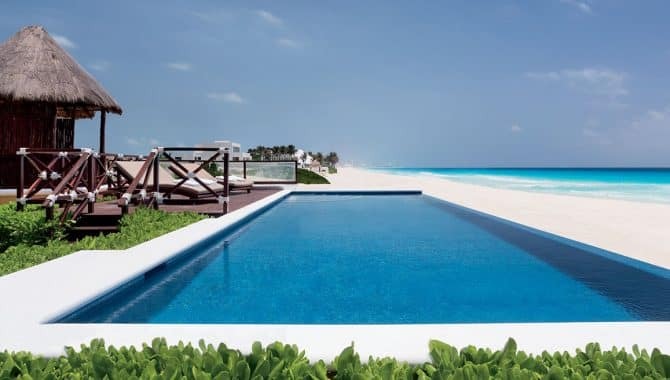 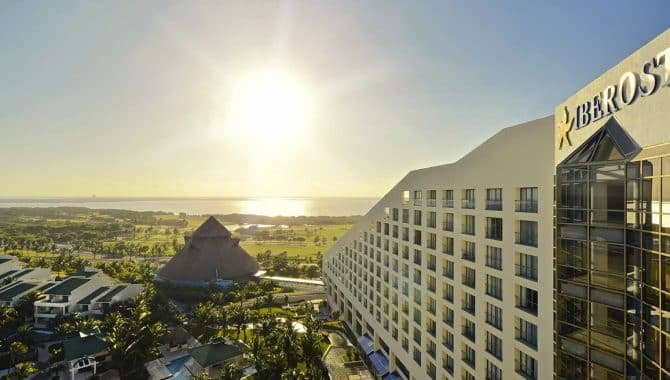 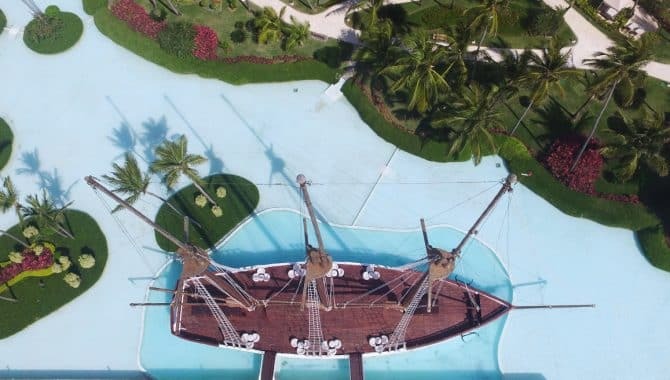 Iberostar Cancún sits on the Hotel Zone’s white sand with sparkling pools, an 18-hole golf course and unlimited watersports and entertainment. 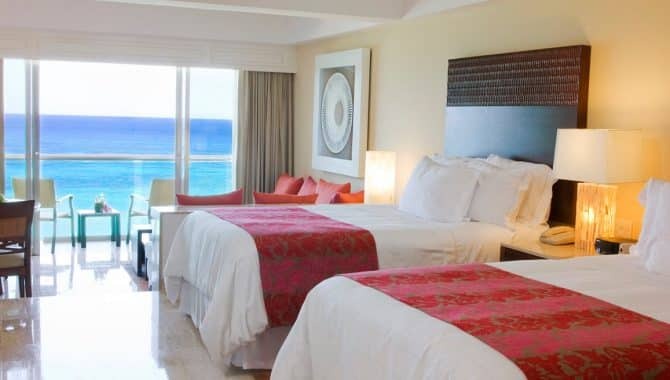 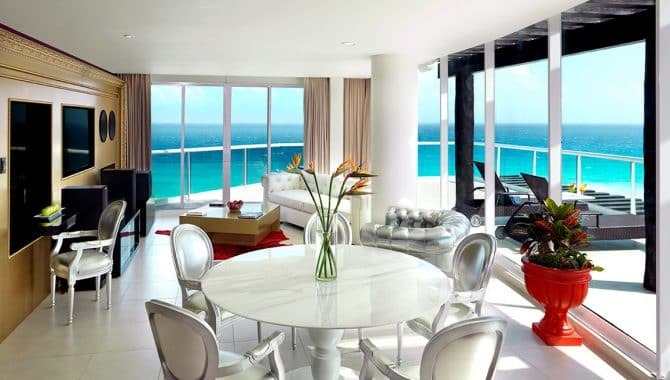 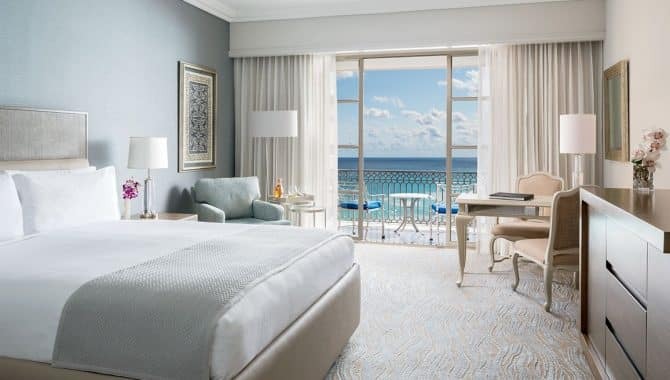 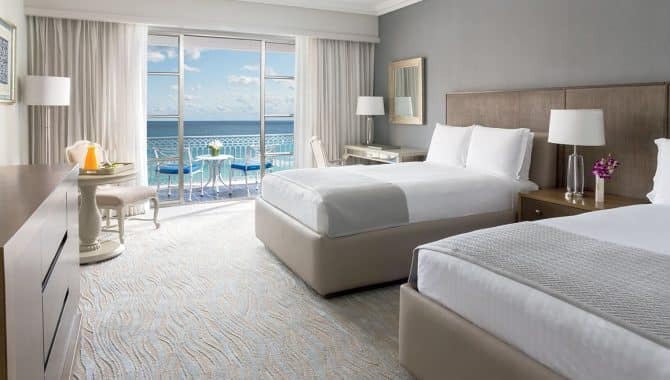 The wide range of suites and rooms have beachy decor and ocean views—ideal for both families and vacationing businesspeople alike. 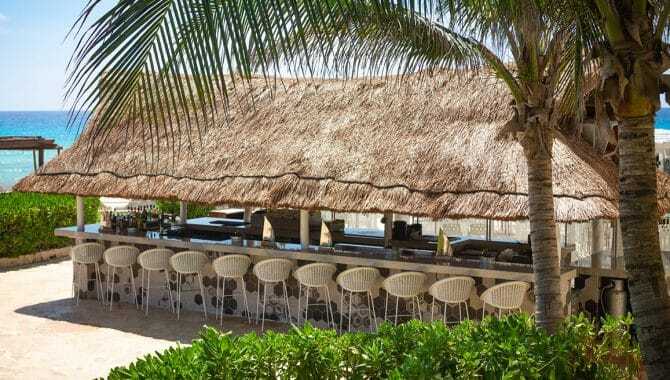 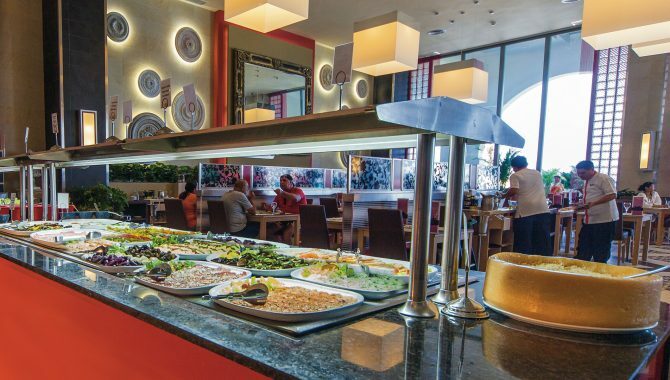 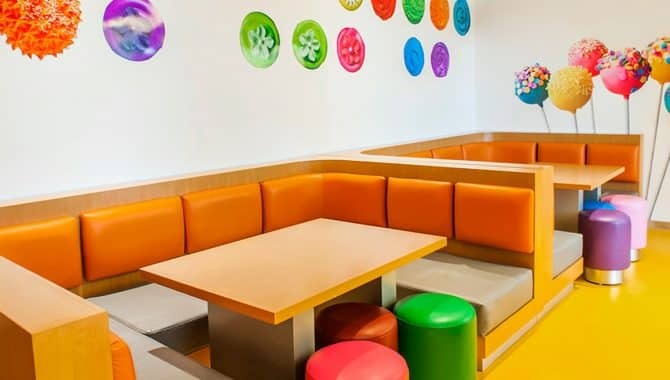 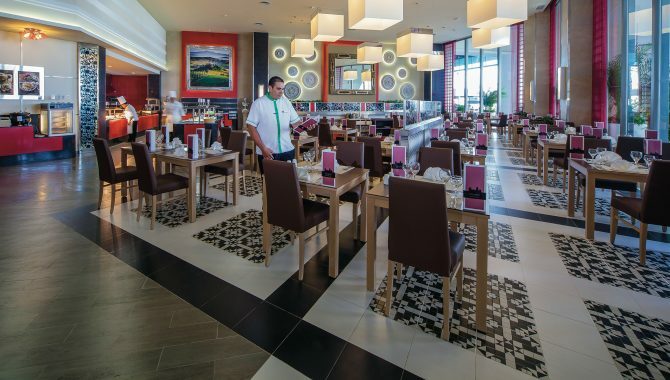 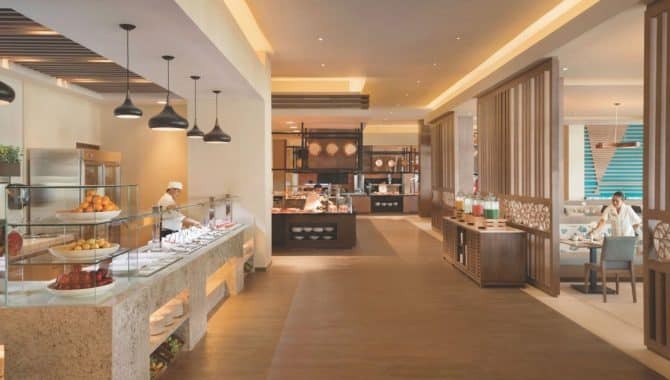 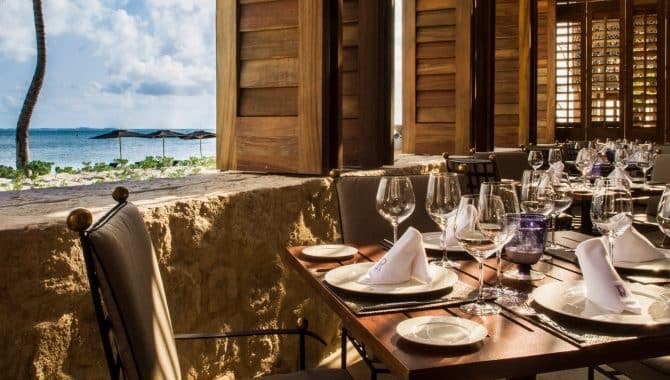 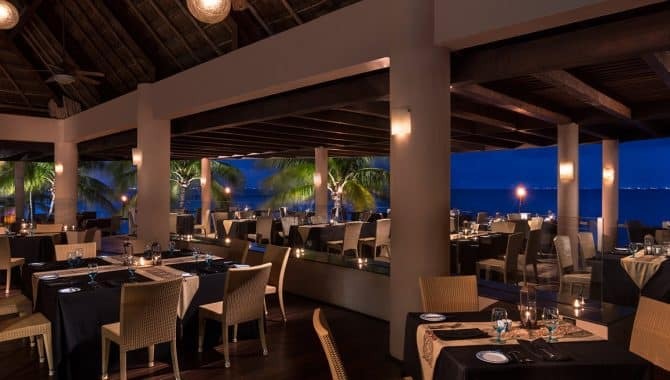 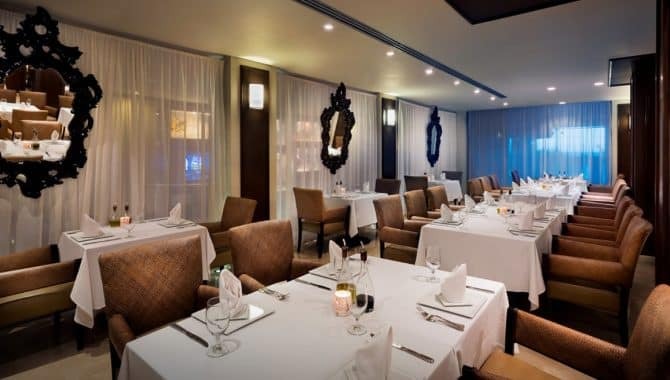 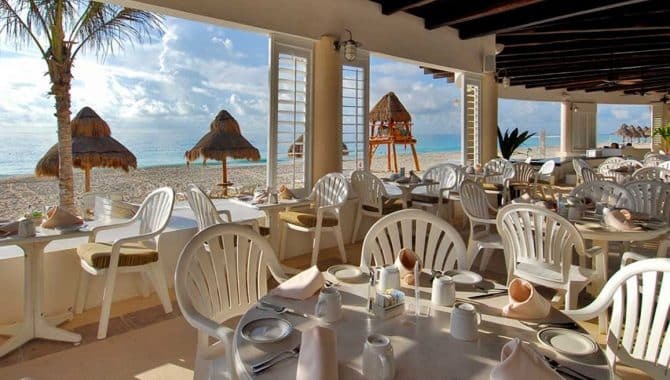 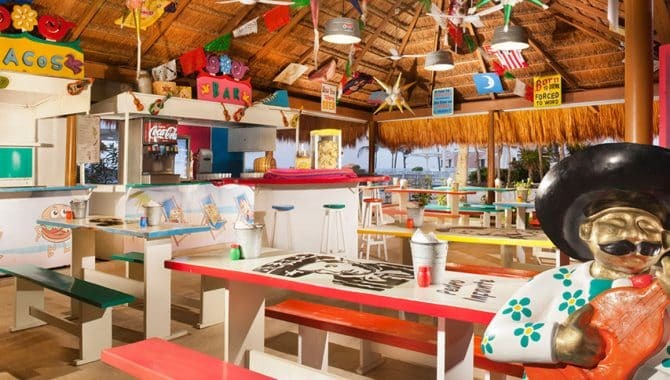 Dining options span the continents here with Mexican and international cuisines both indoor and open air. 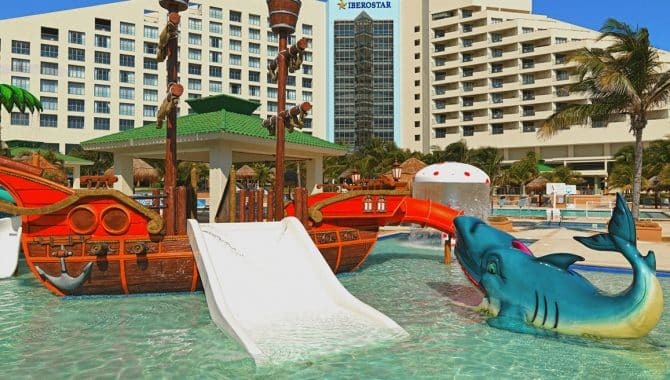 The camps and activities for kids and teens ensure a great vacation for every age and a peaceful environment for conferences and meetings. 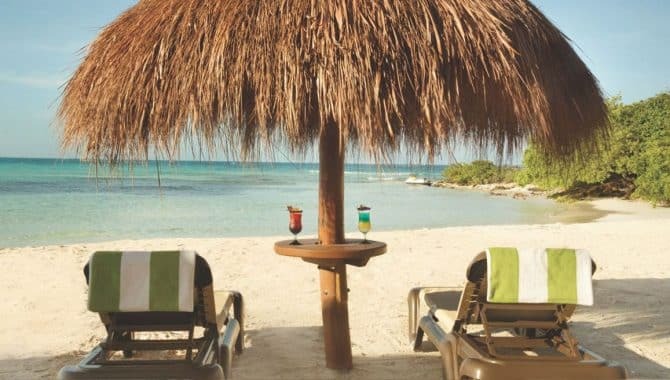 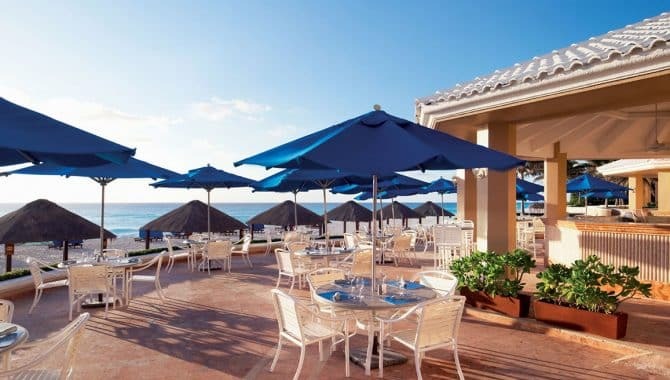 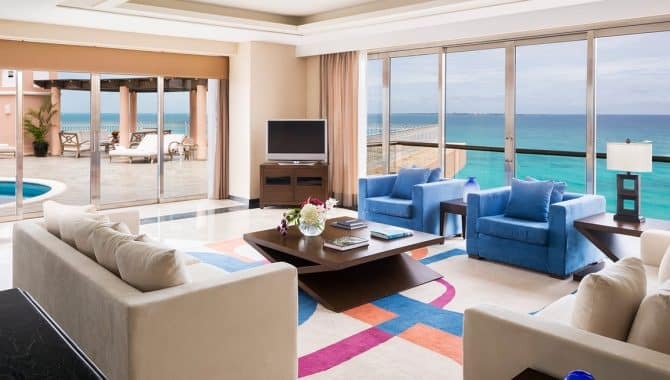 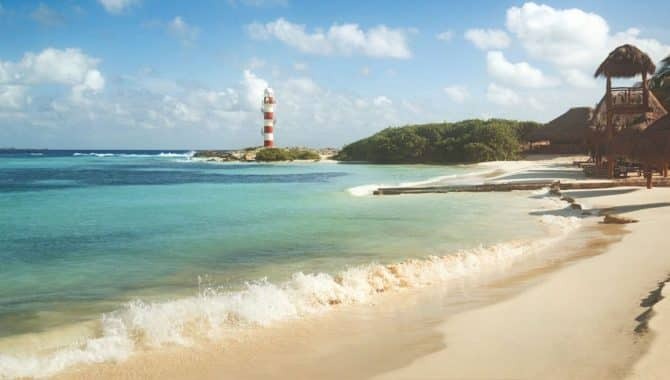 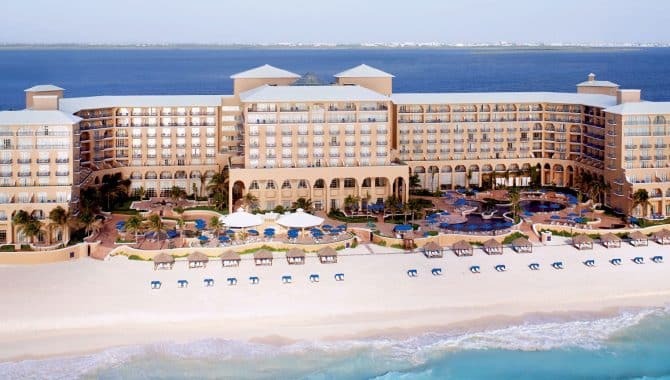 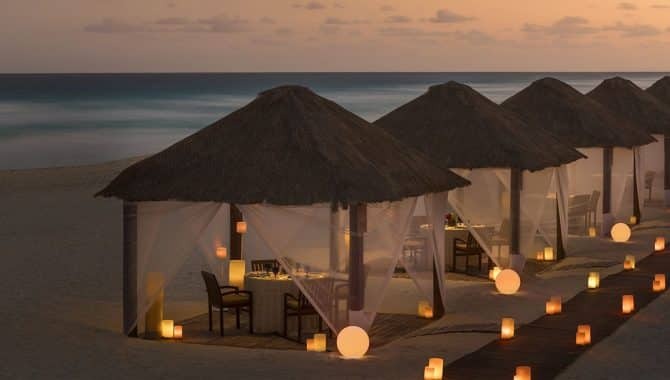 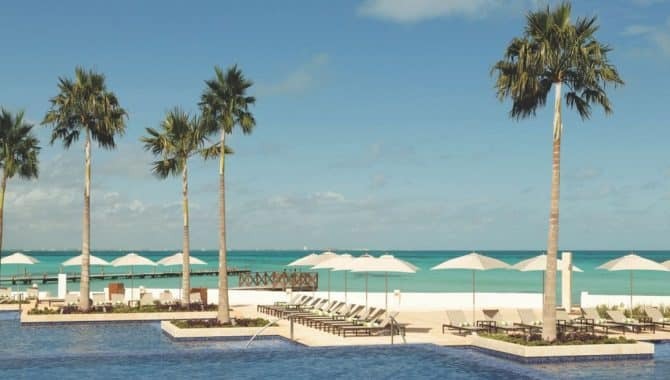 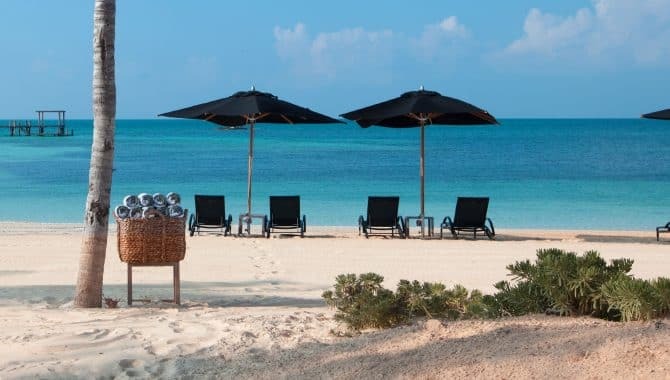 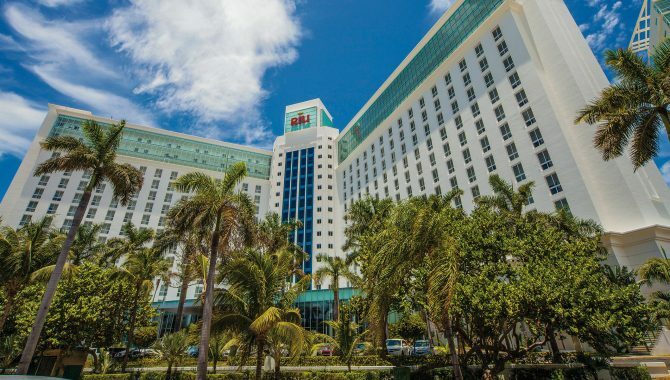 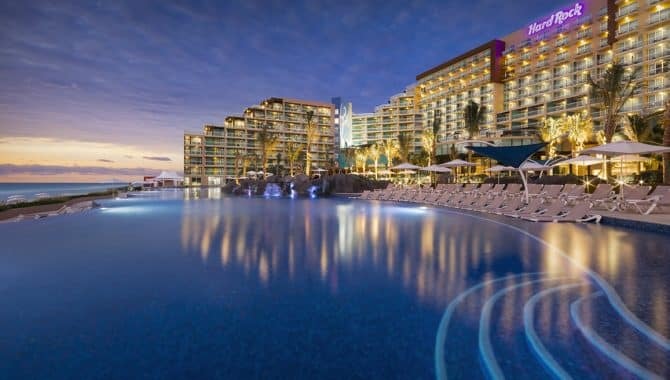 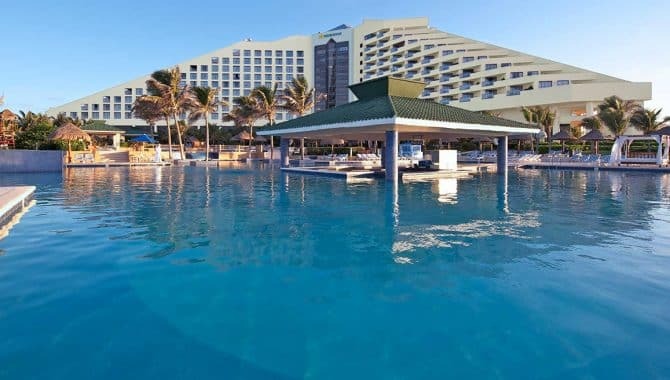 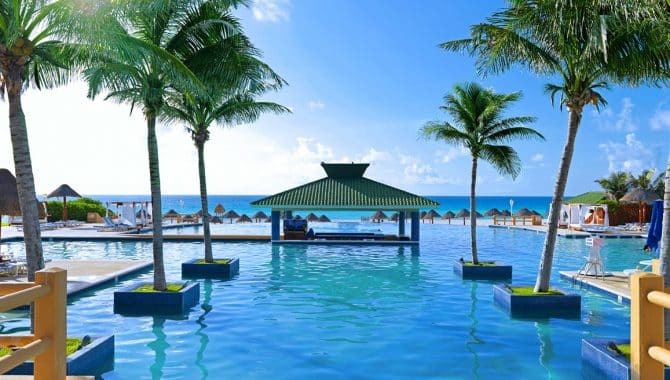 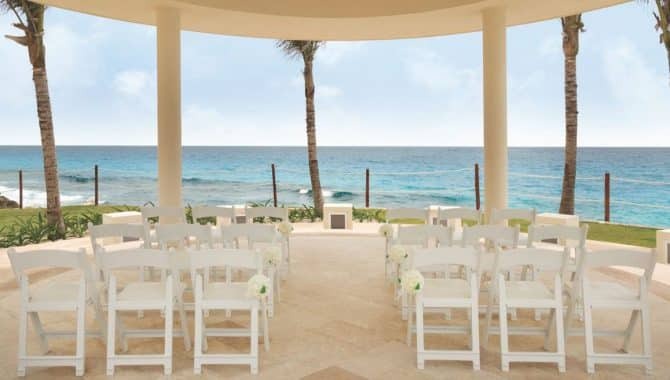 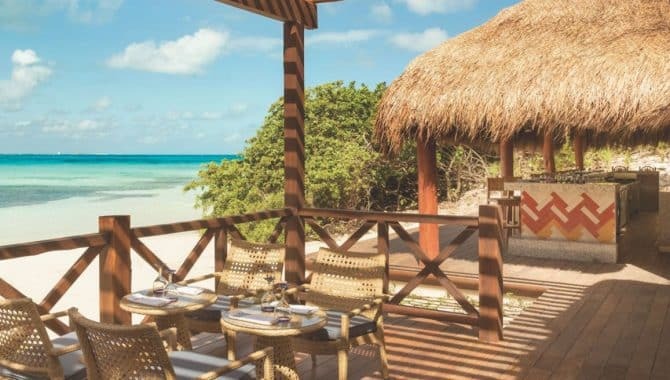 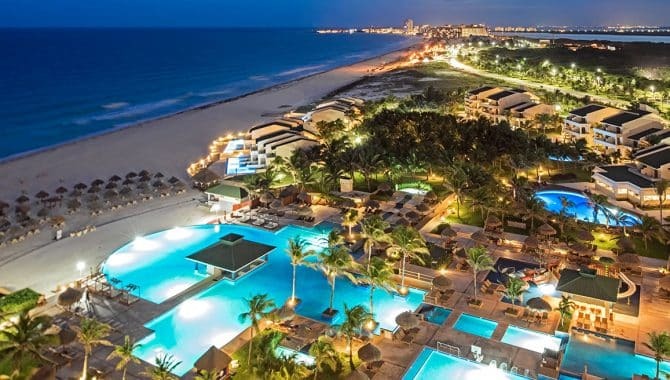 Top performers deserve an amazing business getaway and this highly-rated Iberostar beach hotel with an oceanfront conference center is more than up to the task. 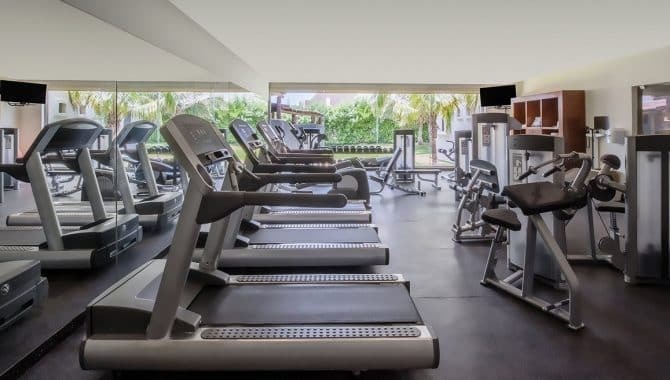 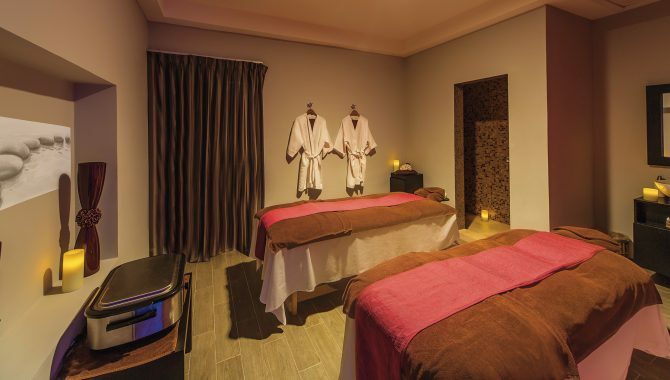 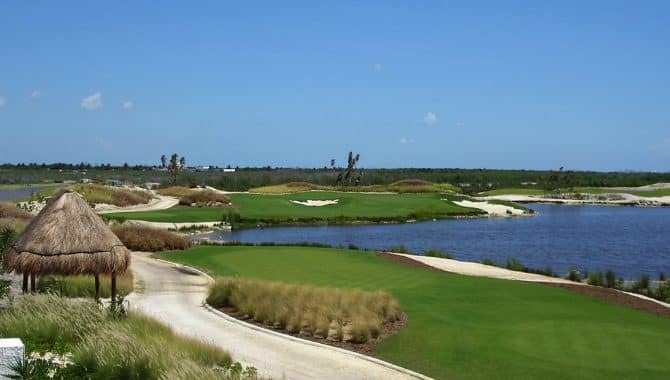 A fun and relaxing environment is ideal for team building and productivity—get in a round or two at the hotel’s championship 18-hole golf course or take a necessary relaxation session at the world-class spa. 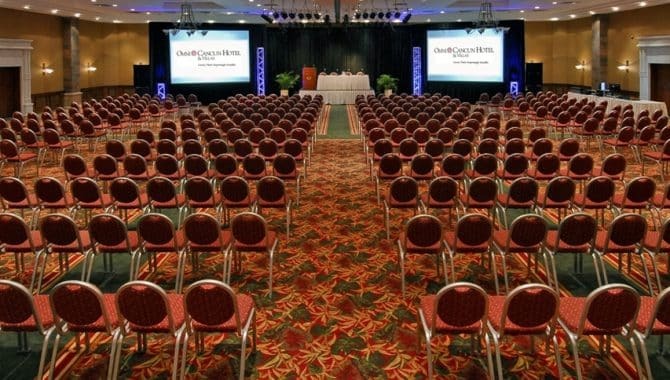 When it’s finally time to get to work, spacious meeting rooms are fully outfitted with high-tech amenities.